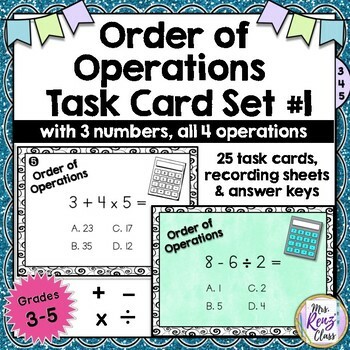 Task cards are a fun way for students learn to solve order of operations equations with 3 numbers with task cards and 4 operations. 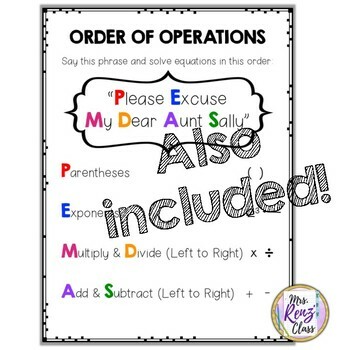 Cards use addition, subtraction, multiplication and division in the equations. 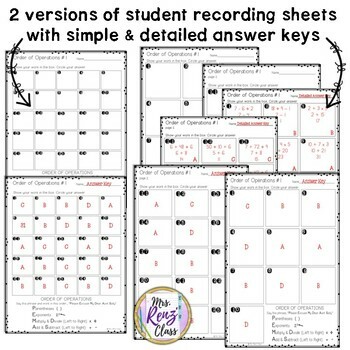 These are great for students in 3rd, 4th, and 5th grades. Task cards offer 4 multiple choice answers with the common error as a choice so students really have to think. These make a great math center activity.